The City of Atlanta wants to take away your ability to drive economic development and equitable growth by eliminating your Eastside TAD. If you’re not angry, you should be…and here’s why. 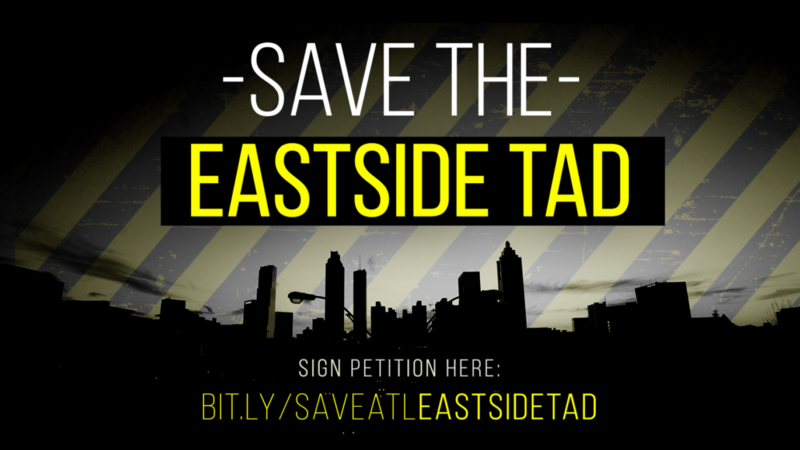 How Can You Help Save the Eastside TAD? You can help by signing our petition TODAY! This petition demands that City of Atlanta Mayor Keisha Lance Bottoms and the Atlanta City Council keep the Eastside TAD intact so all Eastside communities can continue to benefit and revitalize these underdeveloped neighborhoods. Learn more, and read what the Saporta Report had to say here!